Classic Craftsman entry system. 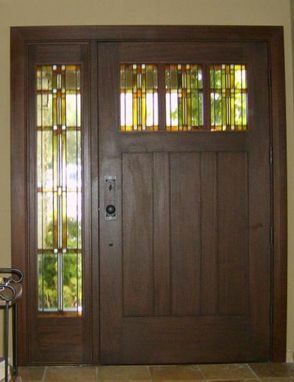 Shown in mahogany with custom leaded glass. Can be made in any size, appropriate species and configuration. Custom leaded glass optional. Why settle for less? 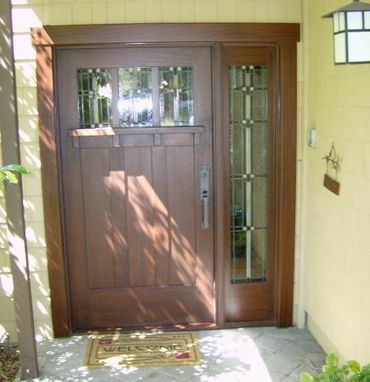 Our authentically detailed Craftsman style doors are the real thing. Available finished or unfinished.Lock and hardware installation service available. 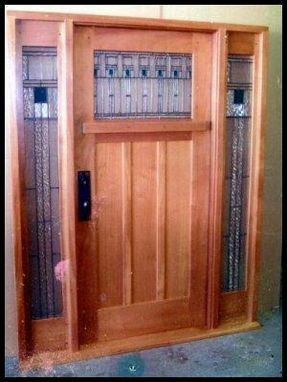 Options include custom leaded glass from our in house studio and Pemko automatic door bottoms for a draft free installation. Dimensions: 5-0 x 6-8 as shown in photo. Can be made in any size required.